At the UN’s Environmental Assembly in December 2017 the European Union helped secure a series of international commitments to address the problem of marine litter and bioplastics. EU’s goals and objectives provide policy makers, and other stakeholders, direction and a framework for actions to combat littering of European seas. They provide a platform for cooperation between European business, private sector and public authorities. 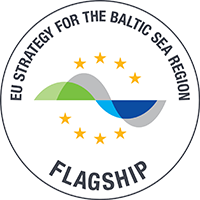 Russia is a non-EU state and the Union’s Baltic Sea strategy partner whose co-operation is enhanced through the activities of HELCOM. The main EU strategy and legislation dealing with the issue of marine litter on the coastal and marine environment includes the EU Integrated Maritime Policy (IMP) and the Marine Strategy Framework Directive (MSFD). The Water Framework Directive (WFD) completes MSFD as it covers inland waters and coastal waters. The main bulk of marine litter is land-based, part of it entering the sea through rivers and streams. IMP’s prime objective is to maximize the sustainable use of the oceans and seas while enabling growth of the maritime economy and coastal regions. Environment is in essential role in IMP. IMP’s tools to reduce the environmental impacts of maritime economic activities are the integrated coastal zone management, spatial planning and maritime surveillance. The economic activities include all sources of marine litter such as tourism, fishing and maritime transport. The MSFD is a key element in Europe’s actions to address marine litter. It is also the environmental pillar of the IMP as it addresses the development of sea-related activities in a sustainable manner. The Directive on a Framework for Community Action in the field of Marine Environmental Policy (MSFD) sets the framework and objectives for Member States (MS) for their marine waters for prevention, protection and conservation of the marine environment from spoiling human activity. The MS should achieve by 2020 Good Environmental Status (GES) for their marine waters considering 11 qualitative descriptors. Descriptor number 10 addresses the issue of marine litter, including plastics. MSFD is a binding legal instrument for assessing, monitoring, and setting targets in reaching GES. With descriptor 10 GES is achieved when “properties and quantities of marine litter do not cause harm to the coastal and marine environment”. The European Commission established a Technical Subgroup on Marine Litter (TSG ML) to support MS in the implementation of MSFD with regard to descriptor 10. The Water Framework Directive (WFD) calls for all inland water bodies (rivers and lakes), groundwater, estuaries and coastal waters to be ecologically sound by 2015 (the goal not achieved as scheduled). WFD includes the design and implementation of the programme of measures, some of which are related to marine litter management. However, WFD does not refer to plastic litter in particular. WFD contributes to the MSFD’s goal to achieve the Good Environmental Status by 2020 for their marine waters. Besides above mentioned policies and directives, there is a large set of EU policies and legislation, as follows, related to marine litter management, both its sources and impacts. Directive 2008/98/EC on Waste Framework set out essential conditions for waste management for all waste, and established key principles and requirements for the management of plastic packaging waste. It introduces a binding waste hierarchy: at the top of the waste list is waste prevention, followed by re-use, recycling and then other recovery operations, with disposal such as landfill to be used only as the last resort. Directive 1999/31/EC on Landfill Waste (Landfill Directive) establishes technical requirements for the operation of landfills, with the goal of reducing their impact on the environment, including the pollution of surface water. It requires that the location of landfill sites takes into account factors such as the proximity of water bodies and coastal waters, and that wind-blown materials are minimized. Such measures should reduce potential dispersal of plastic packaging waste and other debris in the marine environment. Directive 94/62/EC (amend 2015/720/EU) on Packaging and Packaging Waste sets a range of requirements to reduce the impact of packaging and packaging waste on the environment. Directive 94/62/EC (amend 2015/720/EU) on Reducing the Consumption of Plastic Carry Bags (Plastic bags directive) requires to reduce the use of light-weight plastic carrier bags and to present a report examining the environmental impact of the use of oxo-degradable plastic bags. Amended version requires MS to take measures to reduce the consumption by the end of 2019 that the annual threshold does not exceed 90 plastic bags per person; this goal can be achieved using economic instruments such as taxies, marketing restrictions or prohibiting free plastic bags. Directive 91/271/EEC (amend 98/15/EC) on Urban Waste Water Treatment is relevant because discharge of urban waste water is one of the sources of marine litter. Sewage related marine debris includes, among other things, condoms, sanitary towels, tampons and plastic cotton wool bud sticks. Micro-plastics and fibers from clothes washing might pass the waste water treatment plant. Also storm water overflows may be a significant source. Directive 2009/125/EC on Ecodesign aims to improve design on a product specific level by eliminating the worst performing products from the market and shifting the economy towards solutions with the least life-cycle costs. Comission Decision 2014/8937EU on Ecological Criteria for the Award of the EU Ecolabel for Rinse-off Cosmetic Products which includes microplastics in “Specified Excluded ingoing substances and mixtures”. Microplastics can not be included in Ecolabel products in any form.